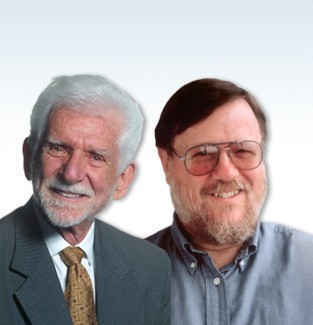 American engineers Martin Cooper and Raymond S. Tomlinson have been granted the 2009 Prince of Asturias Award for Technical and Scientific Research. The Jury for the Award announced its decision in Oviedo. Their research has contributed significantly to the great technological advances in human communications and has been fundamental in the development of the mobile phone and email, respectively. Two lines of research that have revolutionized the way thousands of millions of people all over the world communicate. This candidature has been proposed by Vinton Cerf, 2002 Prince of Asturias Award Laureate for Technical and Scientific Research and has been backed by Leo Esaki, 1973 Nobel Laureate in Physics; Harold Kroto, 1996 Nobel Laureate in Chemistry; Hamdoun I. Touré, secretary general of the International Telecommunication Union; Stephane Boyera, manager of the Mobile Web for Social Development initiative for the W3C World Consortium; and Anriette Esterhuysen, executive director of the Association for Progressive Communications. Martin Cooper was born in Chicago (Illinois, U.S.A.) in 1928 and received his undergraduate degree in Electrical Engineering in 1950. A pioneer in the wireless communication industry, Cooper invented the first handheld mobile telephone and supervised the ten years that were necessary to commercialize the product. He worked for Motorola for 30 years, where he developed new products that were very profitable for the company. After leaving Motorola, he co-founded the company Cellular Business Systems, which soon dominated the mobile telephony market. In 1992 he was similarly successful with ArrayComm, of which he is executive director and where he developed a system of smart antennas, another great revolution in the world of wireless communication, with uses not only for mobile telephones but also for long-range wireless Internet. Cooper has worked together with the United States government to allocate new radio frequency spectrums and has formulated the Law on Spectrum Efficiency, also known as Cooper's Law, which states that the maximum amount of information that is transmitted over a given amount of radio spectrum doubles every 30 months. In 2002 he received the George R. Stibitz Computer and Communications Pioneer Award from the American Computer Museum and the Leader Award-Wireless Systems Design. Raymond Samuel Tomlinson was born in Amsterdam (New York) in 1941. He attended the Rensselaer Polytechnic Institute in his hometown, where he participated in a program with IBM. He received a Bachelor of Science degree in electrical engineering from Rensselaer in 1963 and then went on to study at the Massachusetts Institute of Technology (MIT). In 1967 he joined technology company Bolt Beranek and Newman -now BBN Technologies- where he helped develop the TENEX operating system, which included the ARPANET and TELNET implementations. In 1971 he developed ARPANet's first application for e-mail by combining the SNDMSG and CPYNET programmes so messages could be sent to users on other computers. He chose the @ sign to separate local from global e-mails in the mail address. Soon, the @ sign became the digital icon that it is today. Tomlinson's first program brought about a complete revolution, breaking through the initial obstacles that stood in the way of the future development of e-mail, which quickly became one of the most commonly used applications on the net and which, due to its immediacy and low cost, has managed to fulfil communication demands in developed societies. In 2000 he received the George R. Stibitz Computer Pioneer Award from the American Computer Museum. In 2001 he received a Webby Award from the International Academy of Digital Arts and Sciences. In 2002 Discover Magazine awarded him its Innovation Award. In 2004, he received the Institute of Electrical and Electronics Engineers Internet Award (U.S.A.) along with Dave Crocker. The Prince of Asturias Foundation's statutes establish that the aim of the Awards is to acknowledge and extol "scientific, technical, cultural, social and humanistic work carried out by individuals, groups of individuals or institutions at international level." Constant with this spirit, the Prince of Asturias Award for Technical and Scientific Research "will be bestowed upon the person, institution, group of people or group of institutions whose discoveries or research work represent a significant contribution to Mankind's progress in the fields of Mathematics, Physics, Chemistry, Biology, Medicine, or Earth and Space Sciences, or to techniques or technologies related to these fields". This year a total of 40 candidatures from Algeria, Argentina, Australia, Belgium, Brazil, Canada, Colombia, Costa Rica, Czech Republic, France, Greece, Israel, Italy, Mexico, Netherlands, Pakistan, Portugal, Switzerland, United Kingdom, United States and Spain ran for the award. This is the fifth of the eight Prince of Asturias Awards to be bestowed in what is their twenty-ninth edition. The Prince of Asturias Award for the Arts went to Norman Foster, the Prince of Asturias Award for International Cooperation was given to the World Health Organization, the Prince of Asturias Award for Social Sciences was given to British naturalist David Attenborough and the Prince of Asturias Award for Communication and Humanities went to the National Autonomous University of Mexico (UNAM). The Award for Literature will be made public next week. The Prince of Asturias Awards for Sports and Concord will be announced in September.